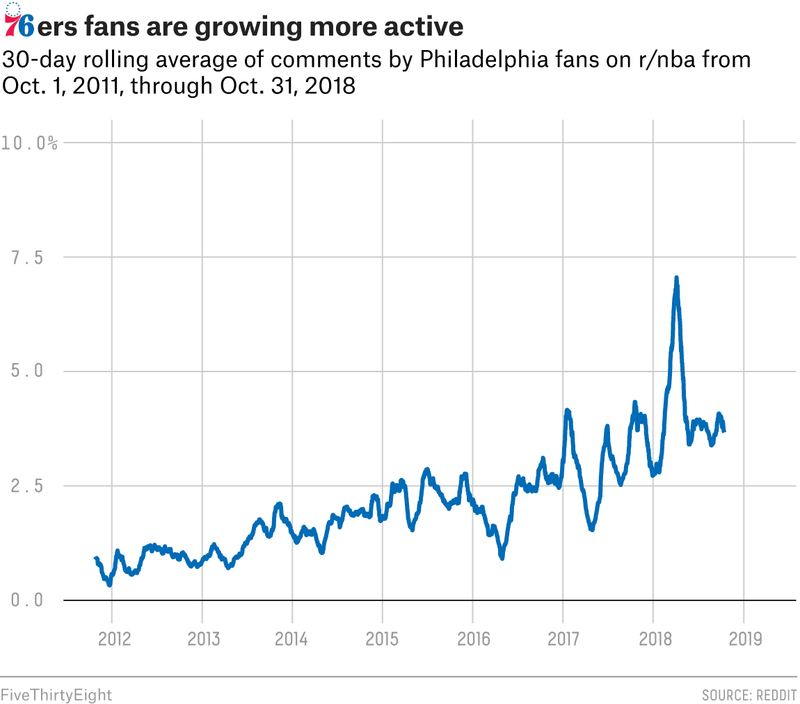 We used those flairs on comments made since Oct. 1, 2011,1 to chart the activity of each NBA fan base. To normalize for the growth of Reddit over time, we calculated the total number of daily comments made by a fan base divided by the total number of daily comments made by all users (flaired or not). 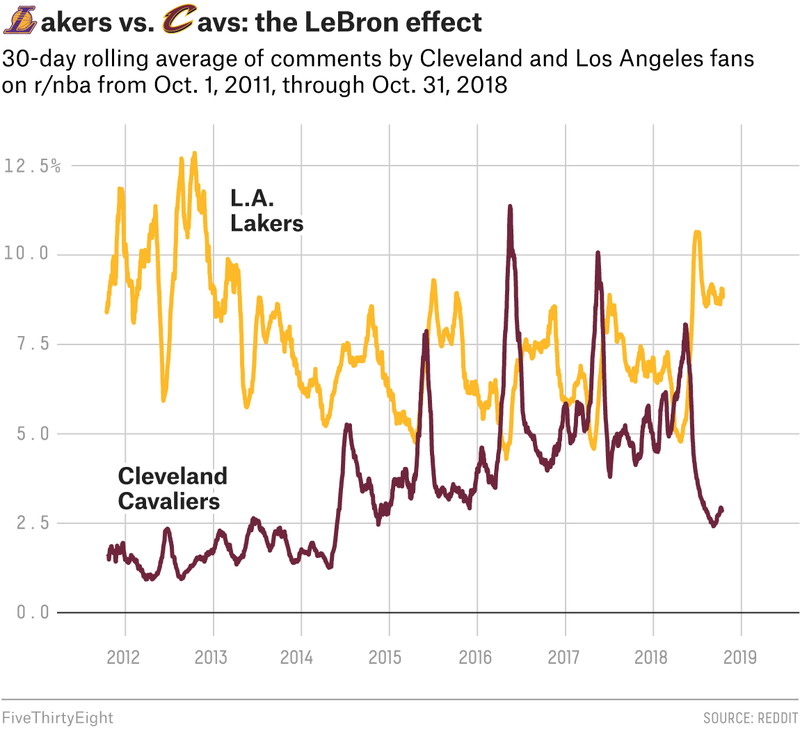 In addition, we used a 30-day rolling average2 indexed to each team’s highest point in order to make the trends for teams in small markets as clear as the trends for teams in large markets. 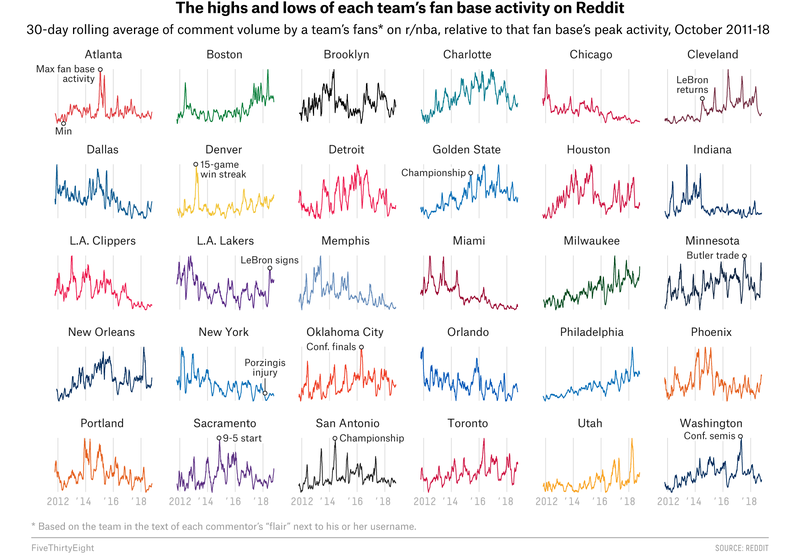 Indexing allows us to show all 30 teams at once, but cross-team comparisons must be made with caution because the y-axis for each team’s chart is unique.